What's not to love about honey nut? 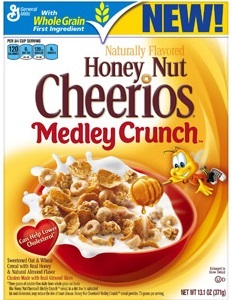 If you're looking for a cereal that has a bit of variety in texture, but isn't overly sweet, this is it. The little clusters of real almond slices, mixed with Cheerios and flakes, give it a crunch and a kick that keeps the cereal from getting soggy. 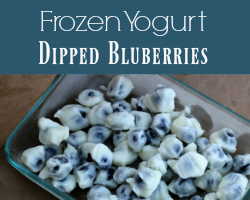 It's one that I enjoy eating as a bedtime snack. I'm a huge chocolate cereal fan, but I know that any breakfast food that turns my milk into a sugary drink isn't likely good for me. Since Fiber One is on many of the healthy eating lists for many nutrition programs I've tried, this new addition to the family was very exciting. This cereal has all the feel of a Fiber One cereal, but does have a nice chocolate flavor. I can see this as a good dry cereal choice for snacking at your desk, too. 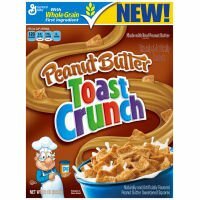 This one was my husband's favorite, as he is a big peanut butter cereal fan. The little "toast" shaped pieces are crispy and sweet. I think of this one more as a treat than a regular breakfast thing. This box didn't last more than a day at our house!